The first recorded mention of the existence of the “Gdina” settlement. Bishop Wolmir stated that Gdynia, Witomina, Obłuża and a few other villages belonged to the parish in Oksywie. 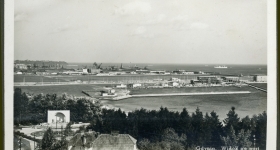 The area belonging to Gdynia was accurately described by George Schwengel, a Carthusian prior. The area of the village was approx. 670 ha, half of which was covered with woodlands, and 1/7 – wet meadows. 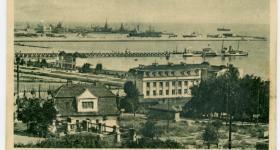 The course of the boundaries of the commune of Gdynia was regulated. The village covered 448 ha at that time. Gdynia was granted the status of a rural commune, and its area was extended to include Grabowo (50 ha). 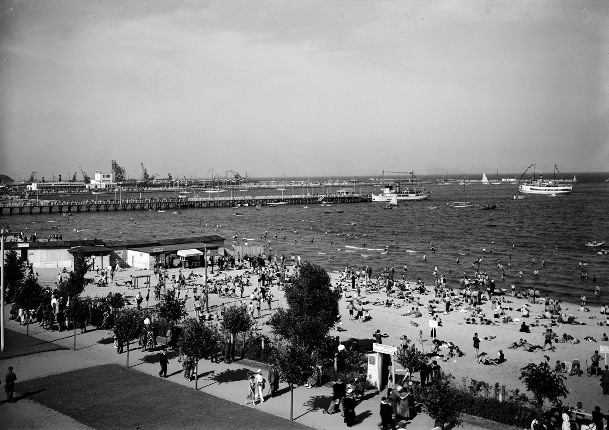 The local authorities of Gdynia succeeded in having Gdynia characterised as a place of recreational value. 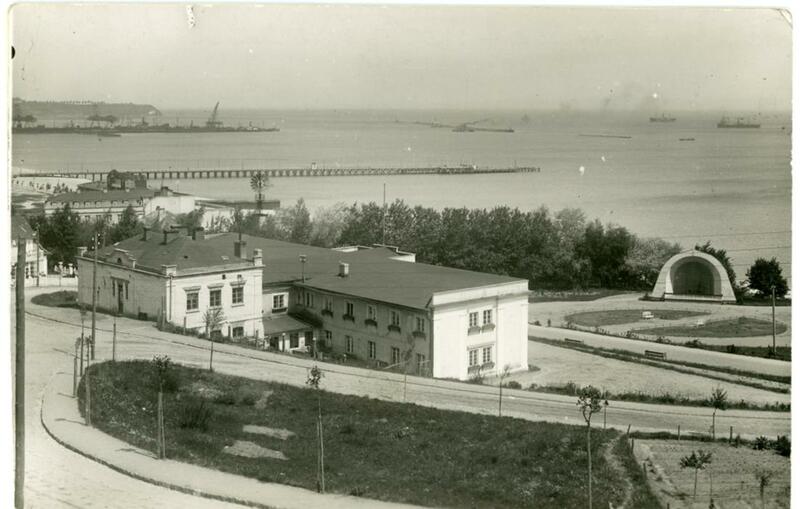 It was thanks to the attainment of therapeutic status that a railway station and Treatment House were erected, 180 metres from the waters of the Bay. 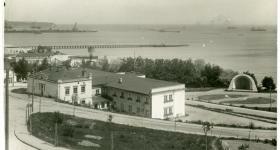 The area of Gdynia was expanded to include the farm of Steinberg; thus, the area covered 638 ha. Engineer Tadeusz Wenda, commissioned by the Department of Maritime Affairs of the Ministry of Defense, selected the site for the construction of the future port. 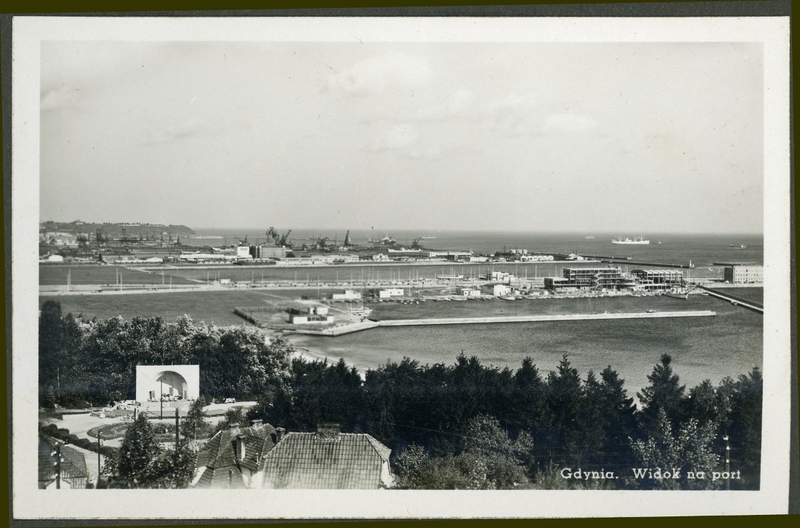 Engineer Wenda indicated 8 alternative locations for the port, but finally decided that Gdynia was the most appropriate location. The proposal was approved and work on the design and construction concept of the port was started. 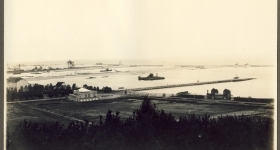 The design involved the creation of a naval harbour with 4 basins, a trading port with 7 basins, and a fishing port. 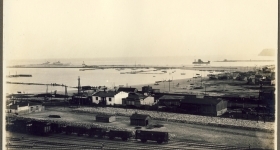 The construction of [Temporary Naval Harbour and Fishing Harbour. The construction work was managed by engineer Tadeusz Wenda. 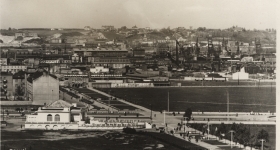 The design of the harbour included the main pier that had a length of 550 metres, a 170-metre-long breakwater, and a 150-metre-long and 7-metre-deep harbour. A narrow-gauge railway line was built along the pier. 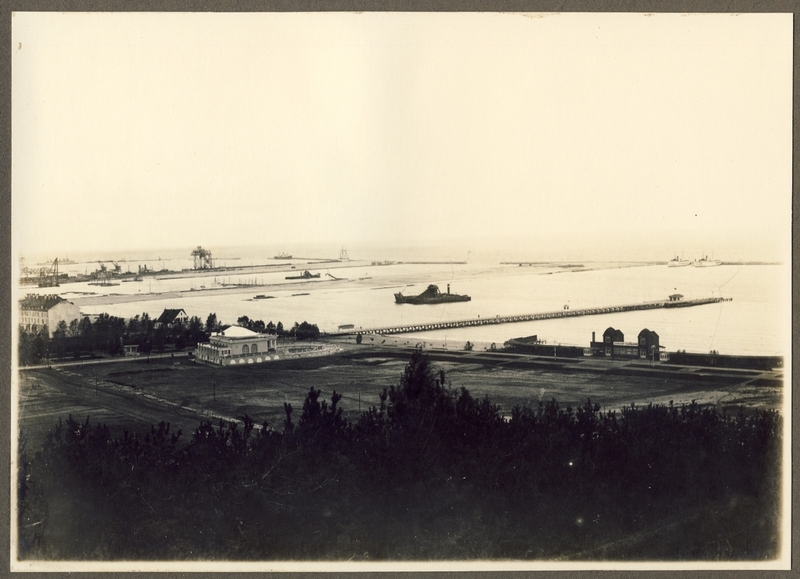 The temporary naval harbour was able to accommodate large vessels. The French ship Kentucky was the first to enter the harbour. 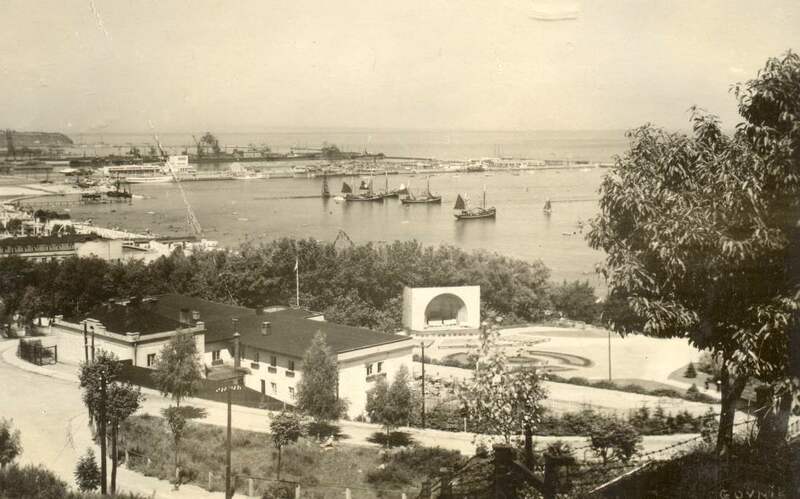 Work on construction of the Northern Basin, which provided a haven for the naval fleet previously stationed in Puck, was completed. 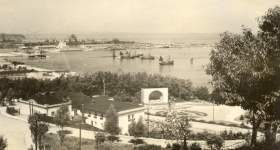 Stakeholders entered into a contract for the construction of a coal harbour, which was the first stage of a permanent harbour. 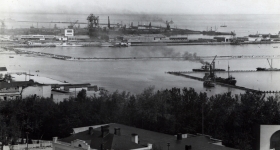 Once the waterfront of the coal basin was put in operation, the turnover of the harbour increased significantly. 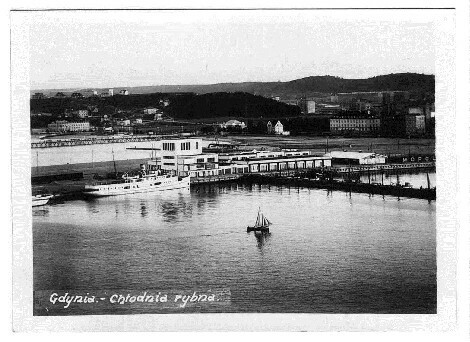 In 1928, ¼ of all coal exported from Poland was by ship from Gdynia. 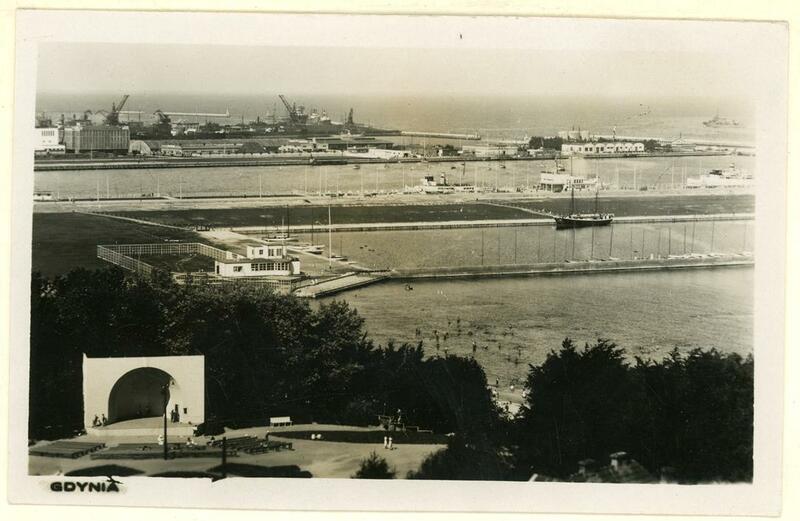 Gdynia became the capital of the county under the Decree of the President of the Republic of Poland. The new maritime county encompassed the Counties of Puck and Wejherowo. The Port of Gdynia is to be open also for passenger traffic and deep-see fishing, for coastal vessels and sports purposes. The northern part of the port was to serve military purposes, whereas the southern part was to be covered by an additional programme. The Northern Pier was built. 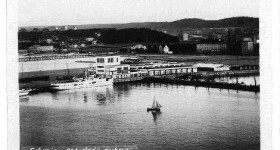 The waterfront in the Minister Kwiatkowski’s Basin and the timber quay were developed. Important projects of that time also include the construction of Marine Railway Station. 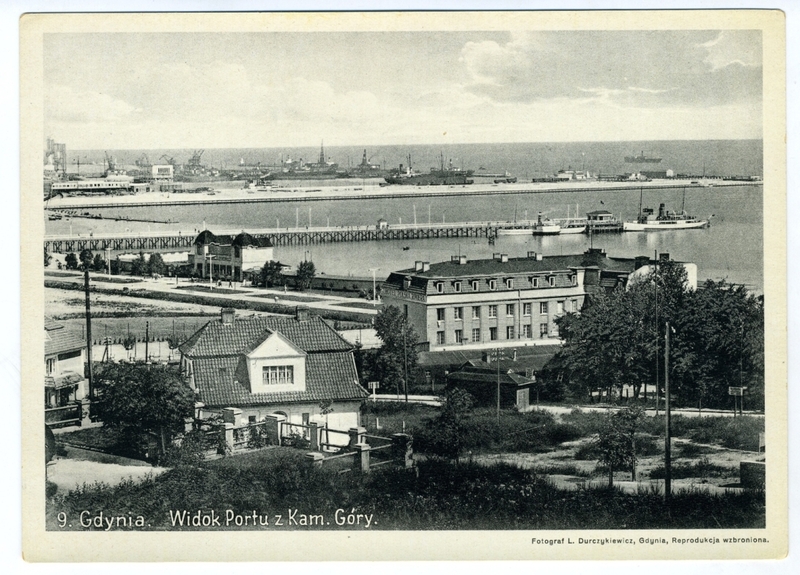 A part of the Port of Gdynia was designated as a duty-free area. 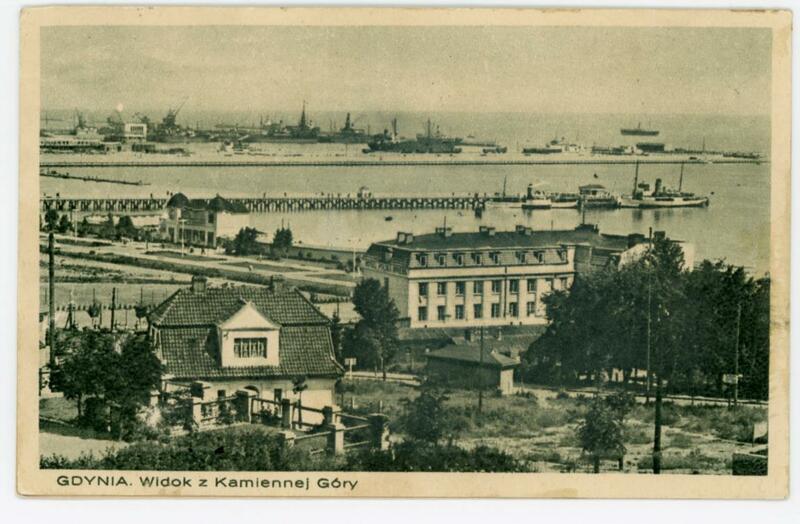 In the mid 1930s over 7 million tonnes of cargo were trans-shipped in the Port of Gdynia every year. 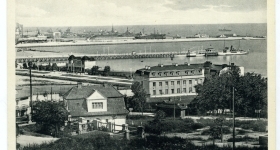 Given that figure, the port ranked first among the ports of the Baltic Sea. 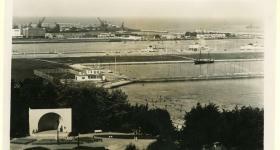 The Sailing Basin was created. 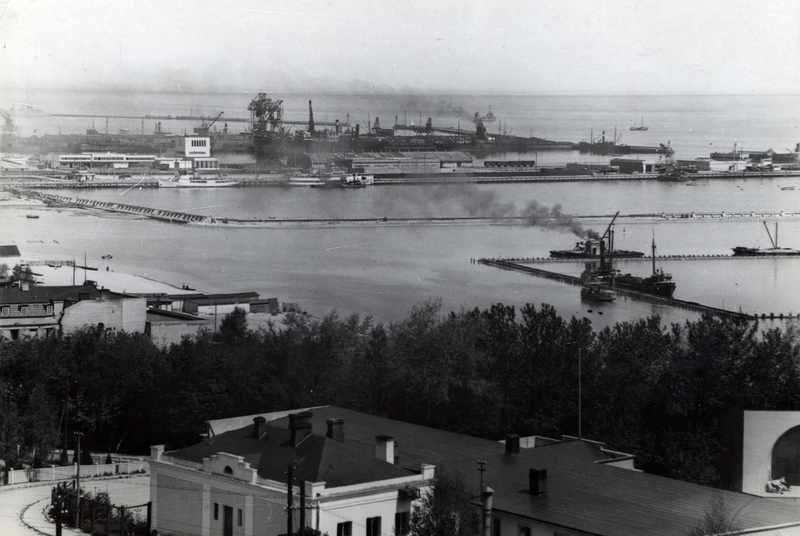 The plans included the construction of a 17-kilometre-long Industrial Canal which was to surround Kępa Oksywska. However, the outbreak of the war interrupted the work. After the war the project was abandoned altogether. Today, Container Basin is located within the area. A grain elevator is built, warehouse no. 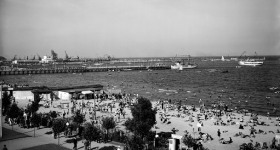 1 initiating the development of the Romanian waterfront. 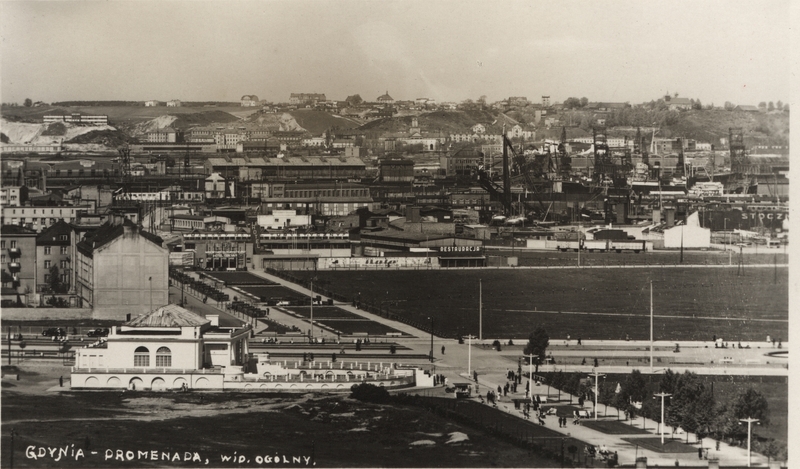 The Germans renamed Gdynia Gotenhafen [“Port of Goths”], since the historical German name Gdingen had a Slavic origin. 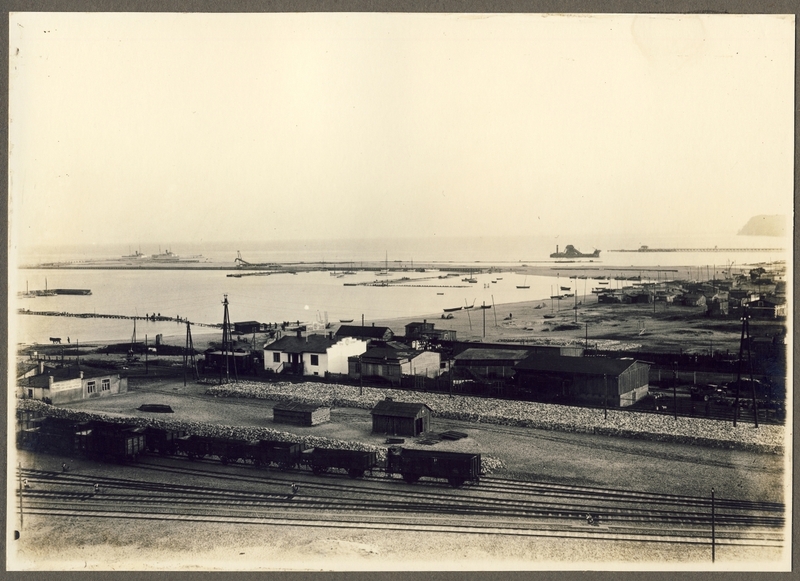 Once the war was over, Awanport was made available and Basin III and railway tracks were reconstructed, the first ship under the Finnish flag, „Suomen Neito,” came into the port. Mine clearance and removal of wrecks lasted a few years, and the reconstruction and restoration of damaged and destroyed buildings lasted until the late 1950s. The pre-war record levels of trans-shipments were not surpassed until 1968. Maria Sołtysik, Gdynia miasto dwudziestolecia międzywojennego. Urbanistyka i architektura (Polish edition). Warsaw 1993. Photos from Muzeum Miasta Gdyni.